I suppose it's not all that uncommon, for people to fall in love and actually stick together. Marriage is work, don't let anyone fool you, but when two people click, and understand each other enough to weather the bad times (there are always bad times) then it can work out. 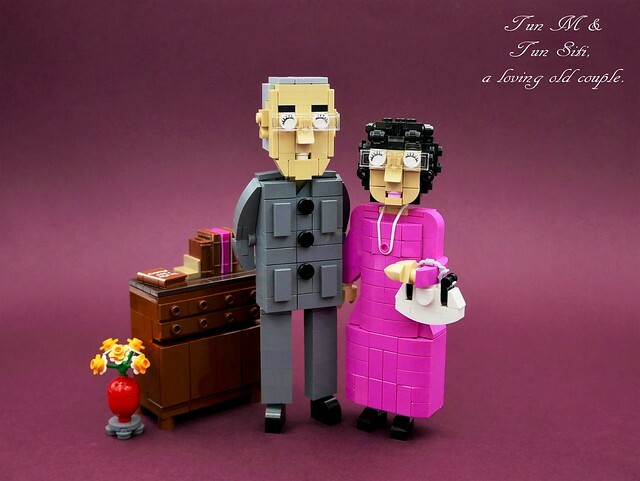 This couple, expertly rendered by builder vincentkiew, has been married over 60 years, which is truly an accomplishment. Then you learn that he happens to be the Prime Minister of Malaysia, and the oldest Prime Minister in the world, and you don't know what to be more impressed about.